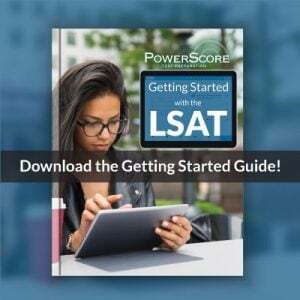 The shorthand reference of -8 to -14 refers to the number of questions you can miss to obtain a 170 on the LSAT, and is a reflection of test difficulty: harder LSATs allow you to miss more questions whereas easier LSATs require you to miss fewer questions. 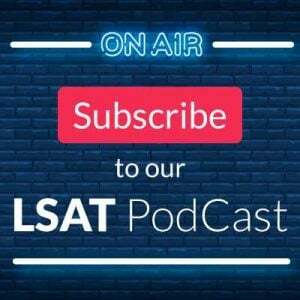 After every LSAT, there is a discussion of the relative difficulty of the test, and you often hear numbers such as -10 or -12 thrown around as indicators of the LSAT scale. The simple meaning of these numbers is a reference to how many questions a test taker can miss to score a 170, and historically, LSATs have allowed test takers to to miss anywhere between 8 and 14 questions to receive a 170 (usually out of 101 or so questions). So, that number you see being discussed refers just to the score of 170. But why is the number of questions missed for a 170 a useful reference in the first place? 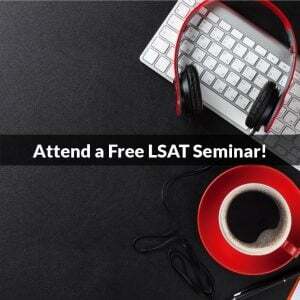 The overall difficulty of an LSAT is often measured by the difficulty at the top of the scale, where the hardest questions each have a significant effect on scores. A single question missed in the 170+ range often translates into dropping a point on the scaled score, and thus the number of questions one can miss to obtain a 170 is often an indicator of the top-level difficulty of the exam. Therefore, a scale that allows you to miss 13 questions (-13) allows more room for error than an exam that only allows you to miss 9 questions (-9). However, having a scale that is “looser” isn’t automatically good news. This is because the test makers seek to have each LSAT yield similar results, and so if an LSAT is inherently harder from a pure difficulty standpoint, then they loosen the scale as an offset (meaning you can miss more questions to get a 170), whereas if the test is inherently easier then they tighten the scale to counterbalance that. For example, with a -9 scale, that means the test was easier overall when compared to a scale that was -12, leaving you very little room for careless errors. And those apparently generous looking -13 and -14 scales? They accompany tests that have some extremely difficult questions on them, meaning the scale is loose only because the difficulty was also very high. So, what’s the best scale to get? It’s often thought that scales in the middle are “safest,” since you avoid truly killer high-level difficulty exams as well as the supposedly “easy” exams that leave no room for fatigue or accidental mistakes. But, the real answer doesn’t lie in the scale, but in the composition of the test itself, which changes every time. Image credit: “Skytrain abstract 1” courtesy of Colin Knowles.